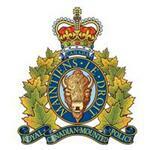 RCMP Alberta - The RCMP can confirm that throughout today, members from detachments across the province have been responding to and assisting with collisions on main highways. Motorists are requested to slow down and avoid travel if at all possible. Icy conditions, poor road conditions and white out conditions are occurring. On Highway 43 southbound near Fox Creek, traffic is down to one lane due to a major collision involving at least 17 vehicles. Travel is extremely slow going. In central and southern Alberta there are several collisions being reported. At this time there is no update available from the RCMP about the outcomes of these collisions in terms of injuries. Members are very engaged in actively responding to calls to service and reporting is not available. The main consideration of the RCMP at this time is to efficiently assist the motorists and clear the vehicles from the roadways.